The 30′ x 17′ PlusHD package entertains audiences of up 1200 people with a spectacular lineup of professional sound, screen, and projection superstars. For up to 1,200 people. 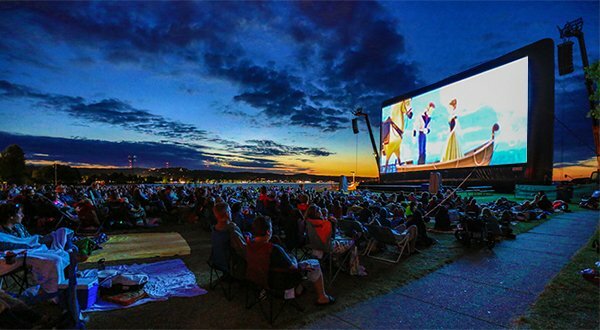 Stunning in its scale, yet easy to handle, the 30′ x 17′ is perfect for those needing a truly large inflatable outdoor movie screen. Will need lots of popcorn! Popular for its win-win design, the PlusHD console is uncomplicated to use and compact to transport or store. 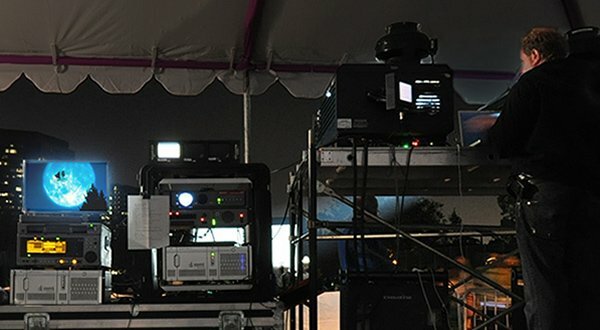 Built with rugged commercial-quality components for organizations that value an economical, durable, easy-to-operate turnkey movie screen package. We back the PlusHD control console, and every system component, with the finest customer support and warranties we hope will have you enthusiastically recommending Outdoor Movies. Plug and play. Insert Blu-ray Disc or DVD into the full HD player built into PlusHD console, press play button. Full 6,000 Lumen 1920x1200 HD quality images for sharper, clearer images for outdoor movies. This professional projector can be used for screens up to 30' wide. Ships FREE in continental USA. Two QSC K10.2 Speakers – now with 2000 watts continuous power per speaker, DMT™ (Directivity-Matched Transition) to ensure smooth coverage across the entire listening area, plus advanced on-board Intrinsic Correction™ DSP voicing that further optimizes performance. At 32 pounds per speaker the K10.2 is the perfect match of portability and power for your Outdoor Movie Screen Package with total output that defies the system’s size and weight. Attractive and professional appearance with comfortable ergonomic handles. Includes portable speaker stands, and tote bags for speakers and stands. Ships FREE in the continental USA. 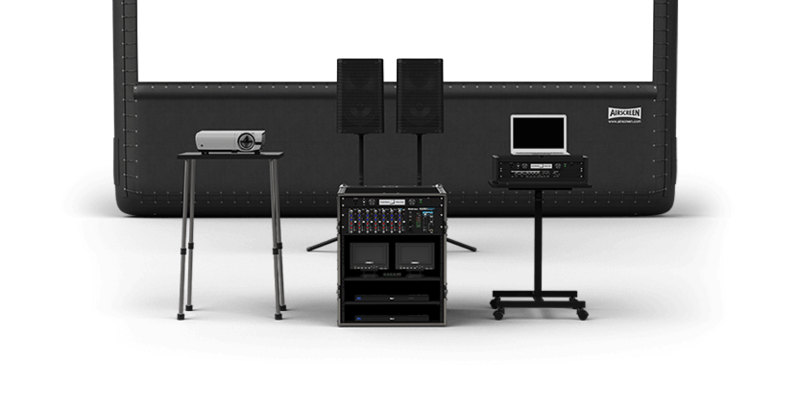 Lightweight portable powered K112 with dual 12" subwoofer drivers and 1000-watt continuous Class D power module. Legendary and reliable QSC amplifier power and extensive DSP to enhance system performance. Comfortable ergonomic handles for portability. Includes soft, padded cover made with weather resistant, heavy-duty Nylon/Cordura® material. Ships FREE in the continental USA.